New legislation has been introduced permitting home growing of up to 6 plants for all in Washington (21+) under HB 2629! Comment on the bill online: Please comment online on the bill expressing your support. Change.org petition: Signing this petition will send a letter to every member of Washington’s House of Representatives and Senate, as well as Governor Jay Inslee, urging them to support House Bill 2629. TheJointBlog.com​ reports: “Initiative 502, approved by Washington State voters in 2012, legalized the possession of up to an ounce of cannabis in dried form, up to 16 ounces in edible form, and up to 72 ounces in liquid form, for those 21 and older. The initiative also legalized cannabis retail outlets. What it didn’t legalize, however, was personal cultivation, which remains a felony. Washington legislation has effectively abolished medical marijuana by making it virtually impossible to find a doctor who is ready to sign the forms that are required, cutting off what people think is the “head of the snake”. People are not going to be able to get doctors’ authorizations any more under the new rules. Washington’s Initiative 502 is now looked at around the country as what not to do when you legalize marijuana. We think the best thing to do is take this whole thing down to the ground; start over again and do it right. You know there is an old navy expression: “There is never enough time to do anything right the first time, but there is always enough time to do it right the second time.” Unfortunately, that may be true for us. –	The first cause of action is against the City of Seattle. All chapter 1 cities lack the authority under state law to regulate marijuana, tax marijuana, or do anything with marijuana other than enforce the criminal law. They simply have no regulatory authority and no ability to tax and that is in the city’s charter. That would apply to other first class charter cities; they simply do not hold the ability to regulate marijuana on their own and the ordinances that the city passed need be held void. We are going to seek injunctions preventing their enforcement until the courts find them void which we believe they will do. –	The second cause of action involves a case that has been decided in Spokane, Department of revenue VS Duncan, that basically said the state lacked the authority to tax marijuana because it met the exceptions for medicine from 2011-2014 when the state changed the law. That is essentially the time my client is being taxed on or imputed tax on and we expect that issue will go on to the Supreme Court. It is currently at division 3. We have raised that to preserve it for our clients. –	The third cause of action is that the City of Seattle is violating the federal drug free workplace act, which basically forbids the city from having any involvement with marijuana regulations and marijuana activities and forbids all employees from doing so. No matter if they are on their own time or government time, it is an illegal activity and they are risking forfeiting millions of dollars in federal grants. 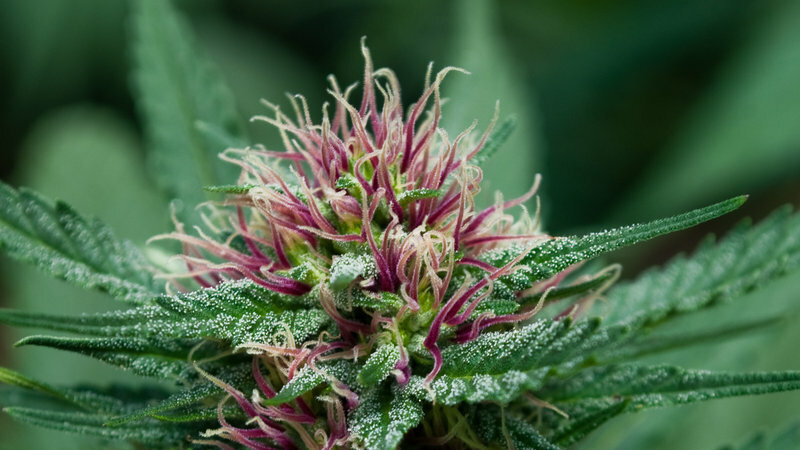 –	In addition to that there are two federal cause of action that we believe will be heard in the second case because we believe the state causes will be dispositive; but none-the-less we raised them for our clients those federal issues involve preemption issues over whether the state can tax marijuana at all, whether the state can force you to participate in tax collection schemes or imputation schemes that violate the 5th amendment. Those causes of action are currently at the Supreme Court in a case called Nickerson VS Inslee, which we are asking to court to stay those issues pending Supreme Court action. We have filed a separate claim along with the other attorneys in the first action on one simple basis: Essentially, the mayor’s new plan is resulting in something we think is quite worrying: re-criminalization. The mayor’s office names this ordinance complying with state law. Our specific claims disagrees with this proposition, but in essence it is the re-criminalization that we are concerned about. We joined this lawsuit not lightly. This is a very important action and we felt that there is one basic proposition that should be upheld everywhere where cannabis is legal. Where cannabis is legal those who possess or otherwise participate in the cannabis market should not be considered or treated as a criminal. The mayor’s ordinance will seek to close at least 58 businesses, possibly many more. We feel this is wrong and we also feel that the mayor’s office issued business licenses in 2015 and now seeks to close these exact same businesses on the basis of operating an illegal entity. We feel this is wrong, we feel this is duplicitous and we intend to fight for patients’ rights. Columbia Holistics: Basically the whole thing is unfair. We have been operating since before the time they implemented the grandfather clause. Medical marijuana built the market and now that they have it they are basically eliminating their competition. That’s basically what they did. They are using all sorts of crazy tactics. 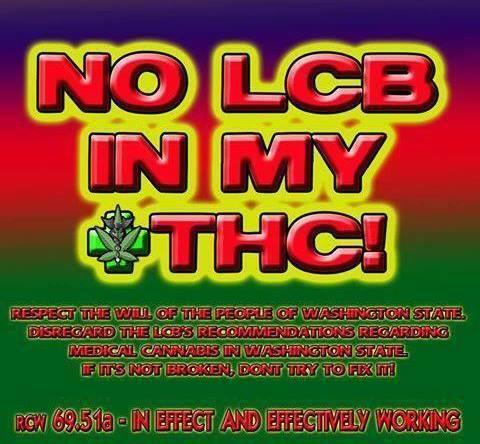 Save WA MMJ: The lawyers mentioned that there were four different agencies targeting you? What were they? 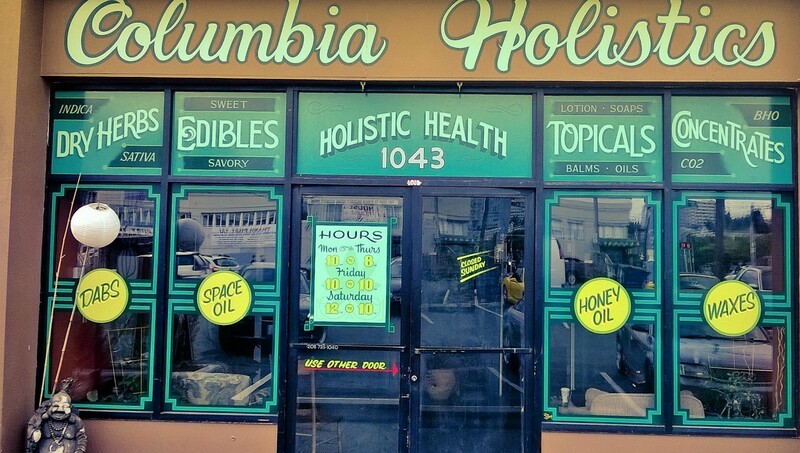 Columbia Holistics: They were trying everything – zoning, the audit, the latest one was search warrant and police. They came out again. They asked us to do all this stuff and we did it. Then they came with the police. Save WA MMJ: What did they use to justify that? Columbia Holistics: Nothing! They came with the police and a search warrant, said get out of the way and cut open the safe. They also said we missed a couple semesters of city taxes. They are trying to embellish what I made by saying I have to pay taxes on 2 million dollars in sales over six months. I didn’t [make that much], that is not true. We also have a 502 spot with an extractor. Somebody broke in and the police came. They took the extractor, then filed criminal charges against us. They have been coming at us from every way. I’m sure they are going to file criminal charges for that search warrant. As part of Mayor Ed Murray’s plan to crack down on Seattle’s misbehaving medical marijuana dispensaries, the city has been conducting raids and surprise inspections at dispensaries that are considered “bad actors”—those that sell to minors or people who don’t qualify as medical patients, those that are being investigated by law enforcement or that didn’t have a business license before January 1, 2013, and others. Two of the targeted dispensaries—Columbia City Holistic Health and Better Day Gardens—have filed suit in response, alleging the city is violating federal laws by regulating the medical marijuana market and seeking injunctions allowing their shops to continue operating. A second suit, filed by Sean Badgley of the C3 Law Group, alleges that the city misled dispensary owners by issuing them a 2015 business license and then passing an ordinance that forces them to close before the license’s expiration. The owner of a West Seattle medical marijuana shop says he got a big surprise Tuesday morning when city officials showed up for a surprise inspection. “(They said) ‘if you don’t let us tour your facility we’re just going to revoke your business license and there’s nothing you can do about it,” said A.J. Cornwall, who runs the Better Day Gardens co-operative. Unsure of his options, Cornwall called his attorney for advice. “Basically, I told them we weren’t going to be agreeing to any search like that and that they’d have to come back with a warrant if they wanted to do a search, and that’s what A.J. told them and they left,” said attorney Douglas Hiatt. On Monday, Hiatt filed a complaint against the City of Seattle and Mayor Ed Murray accusing the city of “unconstitutionally assessing taxes and regulating marijuana.” “The fact of the matter is the city doesn’t have those rights, and that’s what this lawsuit is all about,” Hiatt said. “City of Seattle, you’ve got to stop. You can’t license marijuana, you can’t regulate it, you can’t tax it, and you can’t go and shut these people down. If you want to do that, you have to do it in the criminal courts. A case is currently under way in the Superior Court of Thurston County, in which Mr. John Worthington is attempting to repeal i502. We will be posting more on this case in the future once official filed documents can be obtained (the document linked above is a draft, and is an un-filed version). SENSIBLE WASHINGTON: Lawsuits have been filed to stop Mayor Murray’s crackdown on medical cannabis in Seattle! Lawsuits have been filed to stop Mayor Murray’s crackdown on medical cannabis in Seattle! Sensible Washington will be holding a press conference TODAY, September 30, 2015 at 2:00 pm at 119 1st Ave S Suite 260, Seattle, WA 98104. If you can attend, please show up to support! SaveWAMMJ will be there. Multiple lawsuits have been filed against Seattle Mayor Ed Murray for his recent crackdown on medical cannabis! … lawsuits against the state are currently in the works! Four attorneys representing three different law firms have filed suit to stop Seattle Mayor Ed Murray’s crackdown on patients and purveyors in medical cannabis. They will be holding a joint press conference on September 30, 2015 at 2:00 pm at 119 1st Ave S Suite 260, Seattle, WA 98104. Mayor Murray recently forced an Ordinance through the city council. Nick Lacata, who is not seeking reelection, introduced the Ordinance; the brain child of David Mendoza, the mayor’s cannabis czar. The Ordinance is the Mayor’s attempt to shutter at least 58 businesses within a month, without regard to patient access, or dispensary owners’ ability to properly conclude their business affairs. The Ordinance threatens referral to law enforcement agencies. It effectively overrides a 2003 Ordinance, passed by the voters rather than city council, which ordered the both the city attorney and Seattle Police Department to completely deprioritize cannabis enforcement. The Ordinance further threatens fines in excess of a $1,000 per day against purveyors who continue to serve their patients. The City began enforcement efforts in earnest, conducting sting operations throughout late August. The city now intends to begin assessing penalties and potential criminal actions immediately, based on its clandestine efforts. The legal theories challenging the Mayor’s crackdown are numerous, as the Mayor’s Ordinance uses several questionable mechanisms. Attorneys Douglas Hiatt, Aaron Pelley and Jeff Steinborn, have joined forces to fight the City’s Ordinances and will argue the city has no authority to conduct the current crackdown. Mr. Sean Badgley and several members of his team at C3 Law Group PLLC, intend to argue the city in effect lied to the dispensary owners when it issued business licenses in 2015, thereby encouraging patients and businesses alike to believe the mayor took patient access seriously. The attorneys will ask a court to order the city to cease its crackdown in injunction hearings set as soon as possible..
Lots of press being generated this week with the news that the Squaxin & Suquamish tribes are planing to to sell marijuana. TAX FREE marijuana sold via indian reservations is a very real possibility in our state’s future. Will this be the path that medical patients take to obtain their medicine without unfair taxation? Time will tell! A building nearing completion across the street from Little Creek Casino and Resort is a bet that marijuana will be the next booming business on Indian reservations. If all goes as planned, the site between Shelton and Olympia will be a store where the Squaxin Island Tribe will sell the drug. A hands-off federal policy on pot sales in Indian Country, announced in December by the Obama administration, has generated a lot of interest but few takers so far. Now at least two Washington tribes want to join the newly legal industry. The Suquamish Tribe in northern Kitsap County could be the first, with the state Liquor and Cannabis Board due to vote on a proposed agreement Monday. The Squaxin could follow close behind. Both governments have been negotiating with Gov. Jay Inslee’s office to hammer out tribal compacts. The tribes have decriminalized marijuana in certain circumstances and now want to regulate and control the drug, according to drafts of the compacts under negotiation. The News Tribune and The Olympian obtained the drafts through a public-records request. The draft language would let the two tribes buy tested, packaged and labeled pot from the more than 900 holders of state licenses, then sell it to anyone 21 and older. Unlike at private stores, the state wouldn’t get a cut. A law passed by the Legislature this year setting up the process for marijuana compacts called for tribes to instead charge their own taxes, equal or greater to the state’s hefty rate of 37 percent plus sales tax. That’s in deference to federal statute that limits state taxes on commerce taking place on reservations, said Rep. Chris Hurst, an Enumclaw Democrat and the sponsor of the new state law. Though not required by the law, the proposed compacts call for the tribes to use all tax revenues for government services and to pay for audits showing they complied with that mandate. But the law and the draft compacts allow for some exceptions in which pot could potentially be sold tax-free. One is for sales to members of the tribes. Another is for marijuana grown or processed on a reservation, making it possible that even non-tribal customers could find better prices at tribal stores than are available off reservations. The draft language allows the two tribes to grow and process the drug. The Suquamish said in a previous proposal that they had no plans to become growers and processors, and Squaxin Island Tribal Council member Jim Peters said it’s a future possibility for his tribe, but the plan for now is to buy from state-licensed growers. The reason for the exceptions, Hurst said: State government doesn’t have the power to control operations taking place entirely on Indian reservations. “How the tribes conduct their own business really is their own business, because they are sovereign governments,” he said. Hurst said tribes could go into the marijuana business without signing compacts, but that both lawmakers and tribes agreed a uniform system would be better for public safety. Under the proposed compacts, tribes could have their own systems to track pot in transactions taking place entirely within or between reservations, but would have to show records to the board. State enforcement officers could do checks and stings at the tribal stores — with advance notice to the tribe, whose police would be expected to participate in the enforcement. Opponents of legalization have focused on the consequences for heavy users and children who might get their hands on pot despite the heavy regulations. Peters said the Squaxin Island Tribe plans to provide kids with information in school programs and that the tribe has a drug and alcohol treatment center in Elma that is available to help treat addictions. Washington could get lots more pot stores. State regulators will allow medical marijuana providers to seek retail licenses later this fall. There are no strict limits on how many new licenses could be granted, and there is no requirement that they focus on medical patients. This sounds like it could mean more competition. But it also means that all pot stores will be on equal footing. The passage of Initiative 502 in 2012 launched Washington’s regulated marijuana system. But officials watched in dismay as hundreds of unlicensed medical marijuana dispensaries sprouted on street corners around the state. Now under a new state law, “gray market” marijuana providers must get state retail licenses or close their doors. Liquor and Cannabis Board spokesman Brian Smith said the number of new licenses his agency can grant is open-ended. “We want to take those people now that are operating in the gray market, so to speak, and be able to move into the fully regulated state system,” Smith said. He said legislators estimate that 800 dispensary owners may seek the new licenses, and perhaps 400 will be eligible to receive them. So far, the Liquor and Cannabis Board has issued 196 retail licenses since pot became legal. Geographic quotas and lotteries made retail licenses scarce and valuable when I-502 was implemented. For these new applicants, the approach will be different. They will likely get a license if they meet certain criteria: That they opened before the passage of I-502, paid their taxes and obtained local business licenses. Smith said the number of marijuana retail stores in Washington could more than double as a result. That’s daunting news for existing store owners, but Smith said that way the licensees will be playing by the same rules. In Seattle’s SODO neighborhood, Maria Moses is still putting the finishing touches on her recently opened marijuana retail store, Dockside SODO. She’s thrilled that it has room for parking and space to accommodate the city’s burgeoning marijuana tourism scene. “We have a Japanese-language tour group that is interested in making this their regular stop,” Moses said. 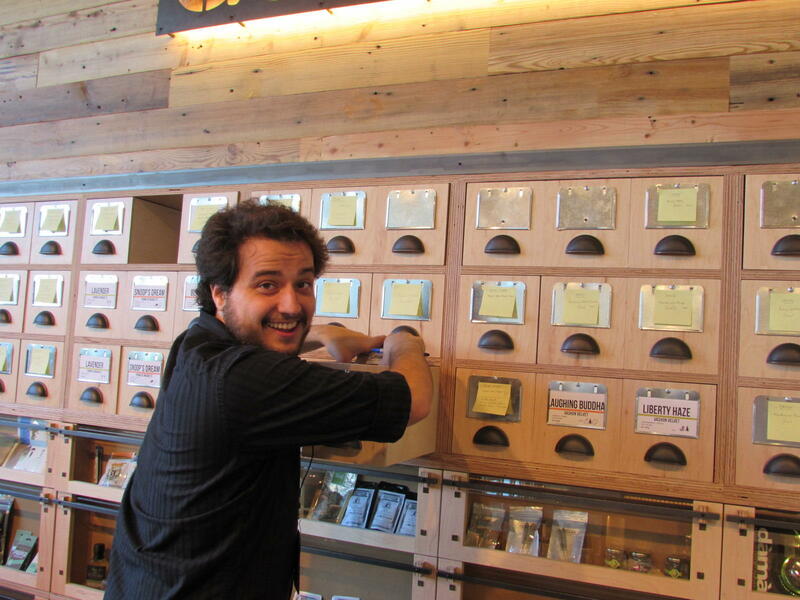 Moses owns both retail stores and a medical marijuana dispensary in Fremont. She said legislators talked about retaining products and expertise for medical patients. To give medical advice and award tax breaks for authorized patients, store owners must get a medical endorsement from the state. “If all these places are really going to get a medical endorsement, I think it’s a great thing for patients,” Moses said. But it’s not clear they will. For existing retailers, the new competition comes with one more challenge – buffer zones. Marijuana businesses must still be 1,000 feet from schools and playgrounds under federal law, but in the future they could be just 100 feet from parks and child care centers. Dispensary owner John Davis predicts Seattle officials will choose to shrink those buffer zones, perhaps as soon as this fall. Moses said that if that happens, there will be a scramble for new store locations. “That actually frees up quite a few places, because there are a lot of day cares in this city,” she said. But her business partner Aaron Varney says after the money they’ve spent building out their new store, they’re in no position to move. “We’re in a location today because of the 1,000-foot rule and it was a location that needed a lot of work to upgrade into a suitable retail environment,” he said. For dispensaries that don’t get a license, both Seattle and King counties have sent them letters telling them their time is up. This summer his office sent letters to 15 dispensaries in Skyway and White Center telling them to close. He said five have done so but at least 10 remain open. He doesn’t plan to arrest these business owners, but his office is preparing civil lawsuits against them. “The next step is to share a draft of that lawsuit with selected stores and give them a choice – do you want to be sued, hauled into court, pay a lawyer, or are you willing to voluntarily shut the doors on a certain date that we’ll negotiate?” Satterberg said. The Liquor and Cannabis Board expects to issue its proposed rules for the new round of retail licenses later this month. State law requires that all marijuana businesses obtain licenses or close by next July. NBC NEWS reports: “Going to Pot” Will Legal Weed Hurt Medical Marijuana Users in Washington? Stephen Damgaard uses medical marijuana for nerve damage in his spine, eating a small brownie made with cannabutter each morning. The weed in the butter comes from one of Seattle’s many medical dispensaries — an untaxed and illegal medical pot shop that up until now has been tolerated by authorities. 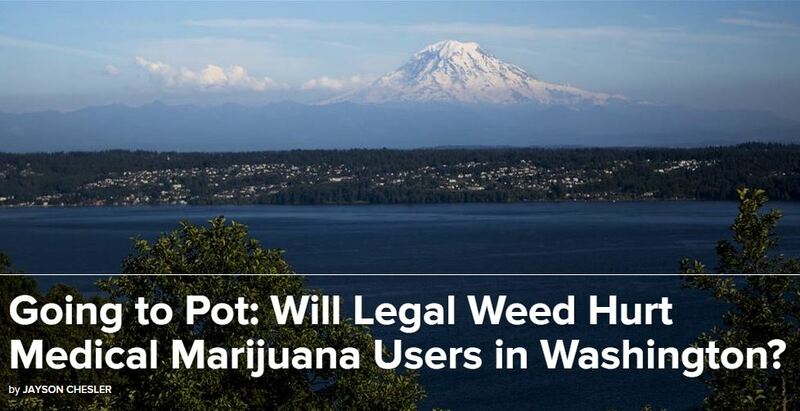 But almost everything about marijuana in Washington is about to change, as the state moves to regulate both its 17-year-old medical marijuana program and the legalization of recreational marijuana passed by voters in 2012. And critics say the changes will hurt the users of medical marijuana. Fear of higher prices, possession limits and lack of access to the specific marijuana products that high-use patients need has left medical marijuana advocacy groups fighting back against laws that both Democrat and Republican legislators see as good. Most medical marijuana, previously untaxed and almost completely unregulated, must now be purchased in the same regulated retail stores that sell weed to recreational users. In addition to paying a 37 percent tax on purchases, medical marijuana patients face lower possession limits and tight restrictions on growing marijuana in group collectives. By July 1, 2016, the new regulations will be fully in place and medical patients will be part of the retail market. The recreational system took more than a year to get up and running, with the first shops opening in July 2014. There are now 154, and new users and tourists are major driving forces in growing retail sales. But cost has been an issue since recreational marijuana was legalized in Washington. Prior to this July, when a 37 percent tax on recreational weed became effective statewide, some locales were charging taxes as high as 50 percent. Supporters of the new laws say that having everyone participate in the same market will make prices drop in the long run. The idea that retail pot is expensive isn’t accurate now that more than a few shops are up and running, said Seattle City Attorney Pete Holmes, who advocated for heavily for legalization and medical regulation. But medical growers estimate the cheapest medical marijuana is selling for between $125 and $140 an ounce, while the cheapest ounces available at Uncle Ike’s and Ocean Greens — two of Seattle’s most popular retail stores — are around $190. For a patient like Damgaard, who said he uses three ounces a week, the price difference can add up. When medical marijuana was first legalized in Washington in 1998, there wasn’t much to it. Some of the states that legalized later included rulemaking guidelines or regulations in their medical marijuana initiatives. Washington’s ballot initiative only dealt with the basics. 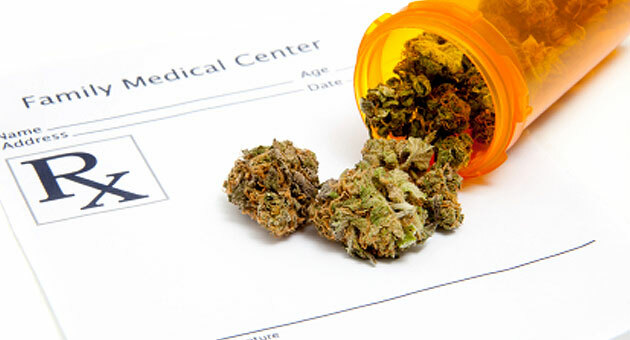 For example, a patient needed only a doctor’s recommendation to obtain medical marijuana. That means that a medical marijuana patient could be arrested for possession, but could use medical authorization as a legal defense at trial. While the health department would later define a 60-day supply as 24 ounces of marijuana, little else was done to clarify what medical patients could and could not do. In the absence of regulations, large medical marijuana cultivation cooperatives and dispensaries sprouted around the state. Police and prosecutors mostly tolerated them as an alternative to forcing medical patients to buy weed off the streets, Weeks said. State lawmakers have responded by trying to cut down on illegal cultivation and sales. Under the new laws, medical patients who previously could possess 24 ounces — as long as they could prove they needed it if arrested — are now allowed three. The three [additional] ounces are permitted only if they are willing to sign up for the state medical marijuana registry. Unregistered patients are limited to one ounce. Growing in a group will also be more challenging for medical marijuana patients under the new regulations. The untracked, unregulated collective gardens are gone, but a way for patients to grow in small groups remains in the form of grow cooperatives. The cooperatives are allowed a maximum of four patients — who are generally allowed to grow four plants each — but they must be registered with the state and cannot be within a mile of a marijuana store, a major challenge in places like Seattle. Some growers like Mascaro have already started to shrink their small collectives to personal grows. Some of those with big operations said they are more hesitant to downsize. Public Notification and Meeting Announcement – Medical Marijuana Authorization Database – Proposed Rulemaking: The Department of Health filed a CR-101 with the Office of the Code Reviser on August 14, 2015, to notify the public of their intent to begin rulemaking on chapter 246-71 WAC: Medical Marijuana Authorization Database. These rules will establish the requirements for a Medical Marijuana Authorization Database. IF YOU OPPOSE THE NEW PATIENT DATABASE, THIS IS YOUR CHANCE TO PUBLICLY GO ON THE RECORD AND STATE WHY. The Department has scheduled four proposed rules meetings at various locations throughout Washington State. -Invite stakeholders, members of the general public, and other interested parties to participate in the rule making process and to provide comment. September 2, 2015 – 1:00 p.m. to 4:00 p.m.
September 3, 2015 – 1:00 p.m. to 4 p.m.
September 16, 2015 – 1:00 p.m. to 4:00 p.m.
More information is available at the DOH website. About the new patient database, or “registry”: The patient database is a “voluntary” database that was established under the new legislation SB5052 (the latest legislation that is destroying medical marijuana in our state). In order to grow more than four plants, purchase more than one ounce, or possess more than six ounces patients are now required by SB5052 to “voluntarily” join the new database. Note that the new authorization form does provide a way for medical doctors to recommend that a patient be able to grow up to fifteen plants, however this recommendation is only valid if it is included on the new authorization form AND if the patient voluntarily joins the new patient database. SURE … (sarcasm). SB5052 did create a new felony for improperly accessing the database – however who is to say what is appropriate or what isn’t appropriate access? The WSLCB – who has a series of secret meetings with law enforcement scheduled throughout this fall already? Only time will tell. Qualifying patients who choose not to register will retain the right to present affirmative defense in court, under what remains of Initiative 692, passed by voters in 1998.